Iqbal Quadir launched in 1997 Grameenphone, a company that now serves 55 million subscribers. His efforts also brought the Norwegian telephone company Telenor to the continent of Asia—where Telenor now serves nearly 200 million. In 2010, Quadir helped found bKash, which allows the people of Bangladesh to safely send and receive money via mobile devices. bKash currently serves 20 million subscribers and executes about a billion financial transactions annually in Bangladesh. Quadir has been promoting his philosophy in boardrooms and classrooms; in the world’s poorest and richest nations; as an author, editor, and speaker; and as the subject of newspaper, magazine, and book profiles. 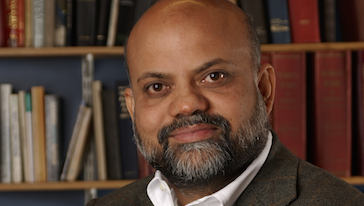 After teaching at Harvard’s Kennedy School for four years, Quadir joined MIT in 2005. He founded The Legatum Center in 2007 where he trained 200 entrepreneurial MIT students to pursue their own ventures in low-income countries. He also co-founded and co-edits Innovations, a journal that has focused on entrepreneurial solutions to global challenges for the past decade.